When Señor Tellez heard there was a chance for his four blind children to receive free eye surgeries, he loaded them into his little dugout canoe, and they travelled down one of Mexico’s rivers to reach the Mercy Ship Anastasis. 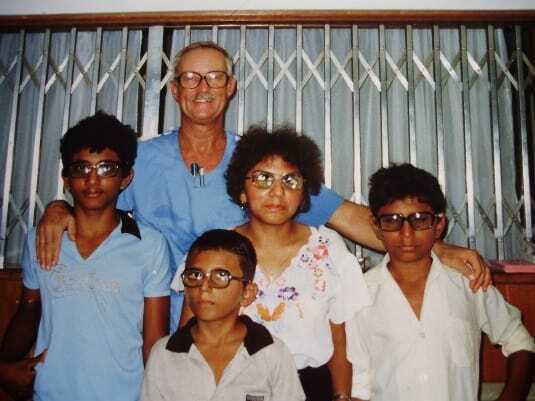 Of his 12 children, these four were all blind from birth because of congenital cataracts. The image of Señor Tellez leading his blind children eldest to youngest up the Anastasis gangway is an impression that has remained with surgeon Dr Bob Dyer. ‘This was the first case I had ever seen and treated for multiple congenital cataracts in siblings. 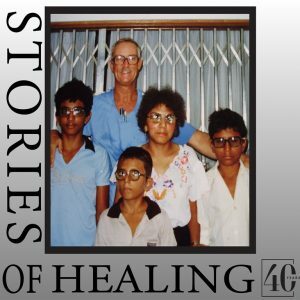 Restoring their sight totally transformed the family,’ he recollects with great emotion. A day after the children had received free bi-lateral cataract surgery the bandages were carefully removed from their eyes. There was a distinct and dramatic pause as their brains registered incoming images for the first time. It was first noticeable on their faces – surprise, joy, wonder. Then, finally, their eyes immediately began to search for their mother. They knew her voice and now they were anxious to see her face for the very first time. 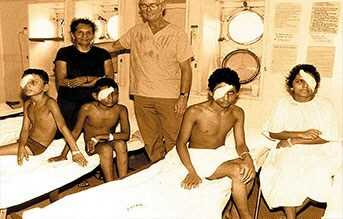 In a gesture that remains part of ophthalmic practice with Mercy Ships decades later, Dr Bob held up his hand to each child in turn and asked, ‘How many fingers can you see?’. The sight of these children catching the first glimpse of their parents, of each other and of the world around them remains one of the most poignant moments of Dr Bob’s life-long career. We guess it’s one Señor Tellez treasured for a lifetime too.